Information from the the Parks & Wildlife leaflet. Available online here. Up to 400 first and second class convicts gathered in this building at meal times, sitting at twenty tables. These convicts were permitted the privilege of eating with cutlery. 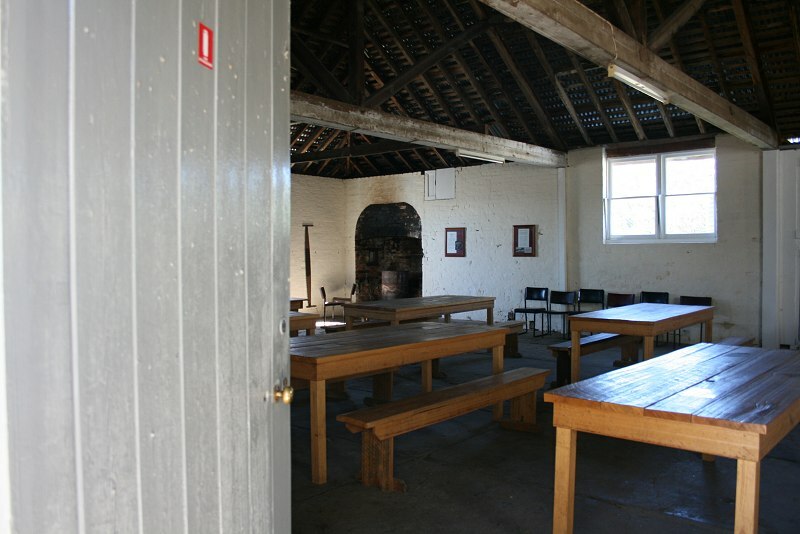 The third class convicts ate in the open courtyard, whilst the fourth class convicts ate in their separate apartments. Neither class was permitted eating utensils. 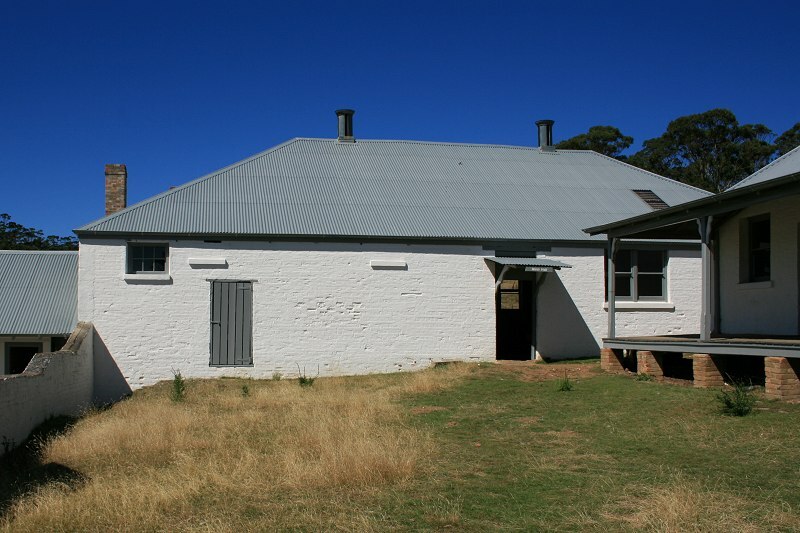 The Mess Hall was a versatile building: it was also used as a school room and Roman Catholic Chapel on Sundays.